Station Hollywood: Happy birthday to legend of legends Dilip Kumar. Happy birthday to Tragedy King Dilip Kumar, the legend of legends. The viewers of bollywood films wish happy birthday to Dilip Kumar, better known as Tragedy King on 11th December, 2017. After the death of evergreen star Dev Anand, few days back at the age of 88 years, Dilip Kumar is the only living legend still in right humour who had adorned the golden age of Indian cinema. An institution by himself, Dilip Kumar had been a torch bearer in the world of romantic acting for the last 72 years. 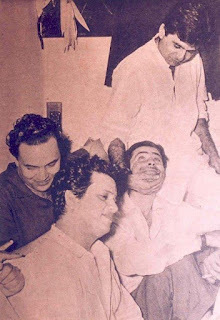 Born in 1922, Yusuf Khan, one of the greatest actors of bollywood films of all times had created new dimensions at every decade with his unique style of acting. In 2013, he fell ill and was hospitalized for a short time. Entire Bollywood became concerned. He recovered and came home. 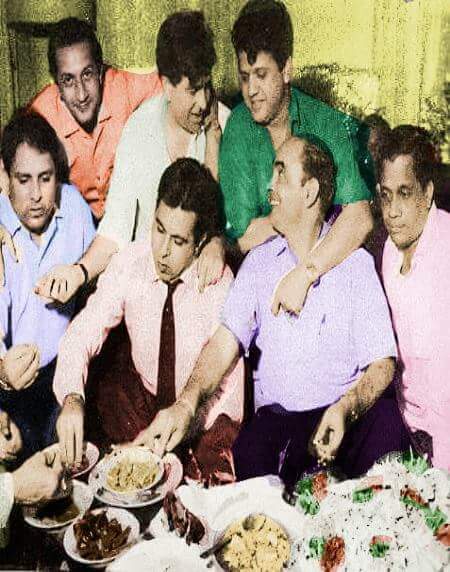 On his birthday many guests came including Asha Parekh, Salim Khan, Rani Mukherjee and others. Although his performance in tragic roles like Bimal Roy’s Devdas and Madhumati, Hrishikesh Mukherjee’s Musafir, and other landmark films had made him an icon of tragedy, he had proved his variation in comedy films, social films, action-oriented blockbusters. Directors like Bimal Roy, K. Asif, Tapan Sinha, Subhash Ghai, consider Dilip Kumar as the greatest actor of all times. He had made the characters immortal which he had played in his illustrious career. He had given extraordinary lips in landmark songs of the 50s and 60s sung by Mohammad Rafi like “madhuban me radhika nachere” and “do sitaron ka zameen par hai milan aaj ki raat” in the film Kohinoor, “ek shahenshah ne banwake haseen tajmahal”, “tere husn ka kya tareef karun”, “apni azadi ko hum hargese mita sakte nahi”, in the film Leader, “dilruba maine tere pyar me kya kya na kiya”, “koi sagar dilko behlata nahi” in the film Dil Diya Dard Liya, “aaj ki raat mere”, “aye hai bahare dekho” in the film Ram Aur Shyam, to name a few. Giant composer Naushad made the greatest contribution in the films of Dilip Kumar, although Shankar Jaikishan gave quality music in the films Yahudi and Daag, Salil Choudhury contributed in the film Madhumati and Musafir. Dilip Kumar had acted opposite all the leading actresses of 40s, 50s, 60s, 70s, 80s, including Madhubala in Tarana, Mughal-i-Azam, Nargis in Babul, Andaz, Meena Kumari in Kohinoor, Azad, Footpath, Vaijayantimala in Madhumati, Ganga Jumna, Leader, Wahida Rehman in Dil Diya Dard Liya, Aadmi, Ram Aur Shyam, Saira Banu in Sagina, Gopi, to name a few. Even during the 80s, his character roles created new dimension in bollywood films. His performance in the film Mashal, Masdoor, Shakti, Karma, Vidhata had inspired the new generation of actors like Anil Kapoor, Rishi Kapoor, Sanjay Dutt and others. He has the record of getting the filmfare award for the best actor for the maximum number of times ( 8 times ) which had not been broken by even Shahrukh Khan till now. Dilip Kumar had not learned acting from any acting school yet the way he had made Sarat Chandra Chatterjee’s character Devdas immortal, the actors of the next generation consider him an institution by himself. He had played roles of even trade union leaders in the film Sagina, he was the first actor in bollywood films to perform in a double role in the film Ram Aur Shyam. He created a trend and films with double roles were created in the same lines as that of Ram Aur Shyam in Seeta Aur Geeta, Chaalbaaz, Kishen Kanhaiya. He received the highest civilian award given by Pakistan, Nishan –e- imtiaz which was previously received by only one Indian, that is the former Prime Minister Morarji Desai. He had also received Dadasaheb Phalke award for his contribution in bollywood films. It is not possible to highlight the contribution of the legend of legends in a small article, as he had created an image which made him indispensable over 70 years in bollywood films. Yet his journey is not over. Even in the present age directors like Subhash Ghai engage him with his new projects these days. Many veteran actors came to Dilip Kumar to greet him on his birthday in 2012 and 2013. The viewers want Dilip Kumar to continue acting in bollywood films if his health permits. Viewers had got addicted to his soft tune of dialogue throwing and want him to reproduce the magic again.